Laurie Anderson is an American performance artist, known for her unique spoken-word albums and distinctive performance art pieces. Read this biography to learn more about her childhood, profile, life, works, achievements and timeline. 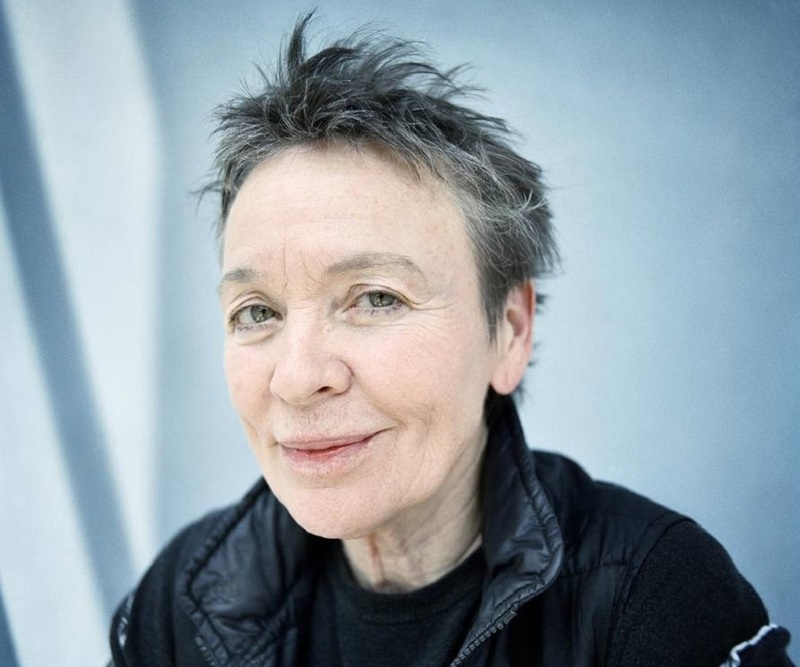 One of the most admired and acclaimed experimental-performance artists in the United States of America, Laurie Anderson is a free-spirited, creative genius, whose work intrigues and mesmerizes audiences across the globe. From performing a symphony of car horns to performing on the violin wearing frozen skates, Anderson has the capability to add that rare edge to all her performances. In a career spanning over four decades, she has managed to create art using a variety of media, be it sculpture, spoken-word songs, films or projected imaginary. She has showcased her work across various prestigious museums across the world and has released seven albums under the Warner Bros label. Popularly referred to as the ‘godmother of the New York art scene’, Anderson’s innovative performances reveal immense creative energy, when compared to contemporary artist and musicians. She is fiercely unpredictable on stage and carefully mixes her experimental compositions with pop-synthesizing beats. Some of her well-known works include ‘Duets On Ice’, ‘O Superman’, ‘Home of the Brave’, ‘Homeland’, ‘The Waters Reglitterized’ and ‘Big Science’. 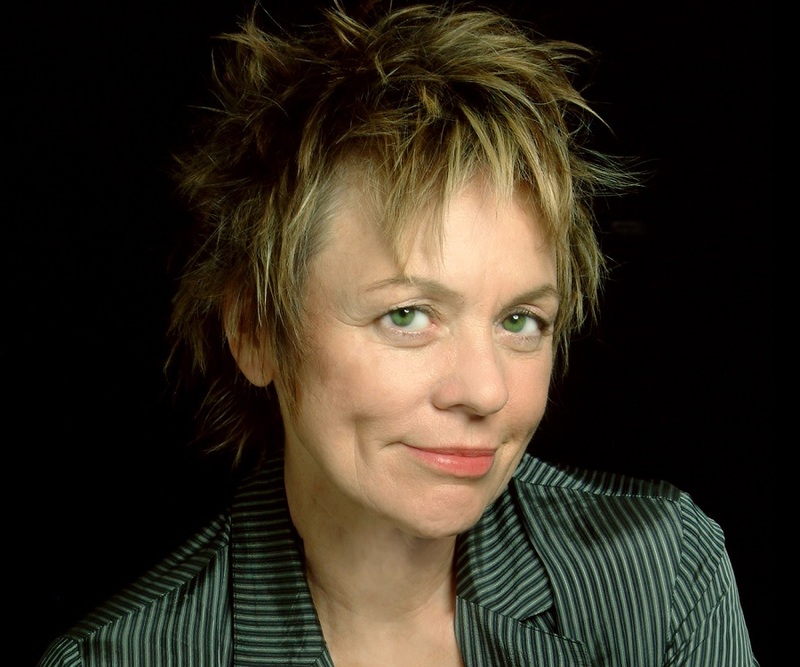 Laurie Anderson was born in Glen Ellyn, an affluent village located in DuPage County, Illinois, United States to Mary Louise and Arthur T. Anderson. She attended the Glenbard West High School in Ellyn Avenue and later attended Mills College, California and graduated in art history from the Barnard College, New York. In 1969, she showcased her first art piece/performance, with an automobile horn on which she played the symphony. In 1972, she graduated from Columbia University with a Masters in Fine Arts, specialising in sculpture. After graduation she worked as an art critic and art instructor and also illustrated children’s books. In the 1970s, in one of her most memorable performances called ‘Duets On Ice’, she played the violin while wearing a pair of ice skates with frozen blades which melted after the performance. In 1978, she delivered a performance at ‘The Nova Convention’ and also worked with comedian, Andy Kaufman. In 1981, her half-sung-half-spoken hit single ‘O Superman’ was released. The song was an immediate success and she gained much fame and recognition. It also earned her a seven year album contract with Warner Bros. Records. In 1981, she worked along with John Giorno and William S. Burroughs for the double album titled ‘You're the Guy I Want To Share My Money With’, originally recorded during the ‘Red Night’ spoken word tour. In 1982, her debut album titled ‘Big Science’ was released by Warner Bros. Records. She also re-released the hit song ‘O Superman’ with this album. The main feature of this album was that it was based mainly on spoken word. In 1984, she came out with her second album ‘Mister Heartbreak’, featuring the lead track ‘Sharkey's Day’, which became one of the most popular music videos of that time. She directed and acted in ‘Home of the Brave’, a concert film released in 1986. 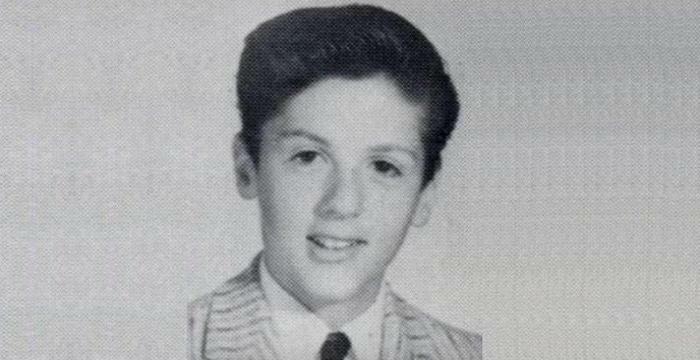 In 1987, she directed the made-for-television short musical film titled ‘What You Mean We?’ She also acted in the film. The film was originally made for the PBS show ‘Alive from Off Center’, which she hosted. In 1989, her album ‘Strange Angels’ was released. In this, she had made a deliberate attempt to focus more on singing, as compared to her previous albums. This album also includes work by vocalist, Bobby McFerrin. In 1991, she served as a jury member at the 41st Berlin International Film Festival and the same year she was seen in the documentary film ‘The Human Face’. In 1994, she released ‘Bright Red’, a pop-oriented album produced by Brian Eno. 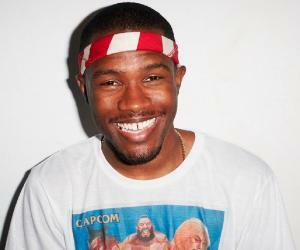 The album was divided into two segments - the first one was titled ‘Bright Red’ and the second ‘Tightrope’. In the year 2000, her retrospective album titled ‘Talk Normal: The Laurie Anderson Anthology’, was released. All her tracks previously released until the year 2000 were featured in this album. In 2001, her album ‘Life on a String’ was released; it was recorded in New York City and was directed by Sk�li Sverisson. This one was more of a musical album contrary to her spoken-word albums. In 2003, she was selected as one of NASA's first artist-in-residence; it motivated her to come up with the performance piece ‘The End of the Moon’. The same year, she worked on a project titled ‘O Zlozony/O Composite’ for the Paris Opera. In 2005, she exhibited her works under the title of ‘The Waters Reglitterized’, at a show which opened at the Sean Kelly Gallery in New York City. She displayed a wide range of her works that included prints, drawings and high-definition videos. In 2010, her album ‘Homeland’ was released and featured the tracks ‘Only an Expert’ and ‘Pictures and Things’. Released in 1981, ‘O Superman’ peaked at the number two position on the UK Singles Charts and the song was also at the top of the ‘Village Voice Pazz & Jop’ singles poll. She directed the concert film ‘Home of the Brave’. 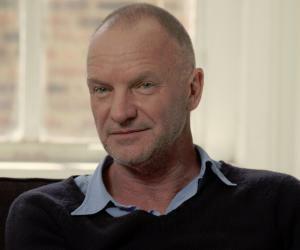 Though not a financial success, the film received positive critical reviews. In 2007, she received the Gish Prize for her ‘outstanding contribution to the beauty of the world and to mankind’s enjoyment and understanding of life’. In 2012, she was conferred the title of the Inaugural Distinguished Artist-In-Residence at the Rensselaer Polytechnic Institute in Troy, New York. 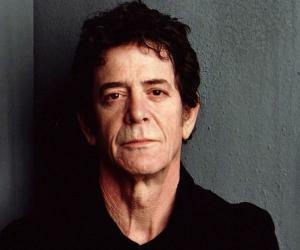 In 2008, she wedded Lewis Allan ‘Lou’ Reed, an American songwriter, rock musician and photographer. This acclaimed American performance artist and musician, married her beau in an exclusive private ceremony in Colorado and the news of their marriage was only known to the public after the wedding celebrations in New York.